A less-known disturbing fact in local educational publishing is that Singaporeans, Malaysians, and other nationalities can't purchase any Amazon Kindle and iBooks math e-books from their own local bookstore. 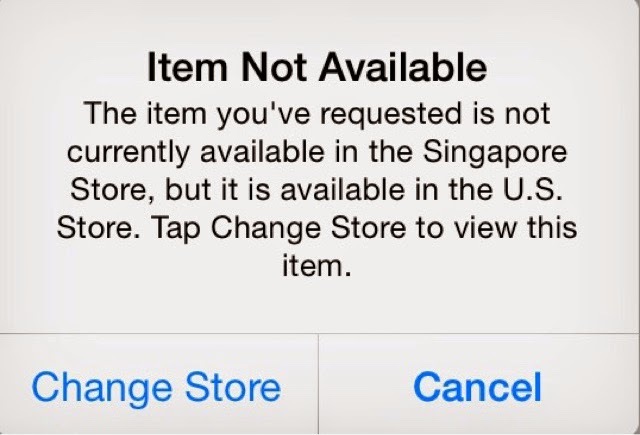 For example, Singaporeans can't access to any free or paid e-books from Amazon or iTunes, unless they switch from the Singapore store to the U.S. store. This means they have to officially open a U.S. account with the bookseller, which is anything but a simple procedure. Why erect this wall to make it harder for Singaporeans and Malaysians to buy e-books in the U.S.? Last year, I released a Kindle book with Amazon, and I asked them why there is such a restriction on locals to download free, or to purchase paid, Amazon Kindle e-books. The answers were vague and unsatisfactory, to say the least. For instance, you can't even test or preview how your e-book will look like on certain platforms with certain apps, as they're not available in the Singapore store, unless you've a U.S. account, which makes it eligible for you to download them. What's the Motive behind the Ban? Several reasons have been conjectured online as to why locals can't access e-books from the world's biggest bookstore. It looks like some decision-makers in Singapore and Malaysia are behind this ban to protect their vested business interests. If this is truly the case, then this augurs badly for the writing community or local publishing industry, especially for Singaporeans and Malaysians who plan to publish e-books under Amazon or iBooks. Interestingly, such a restriction doesn't apply for apps, though. It'd be understandable if such a purchase ban were to apply to, say, North Koreans and Iranians, because Amazon and Apple might not want to deal with countries ruled by dictators who sponsor or promote terrorism and violence. But to deprive ordinary citizens from countries whose human rights records are no worse than those in the Middle East and Asia, where women are often treated as second-class citizens, sounds like a business mockery! With all these restrictions in place, one wonders whether this is the main reason why there have been few decent Singapore math apps (and far fewer math e-books) on both Amazon and iTunes so far. Presently, most math apps by locals on App Store are of little value—most just give away a sample chapter, or the Contents page, of their printed textbooks, unlike the paid Singapore math apps produced mainly by non-locals. 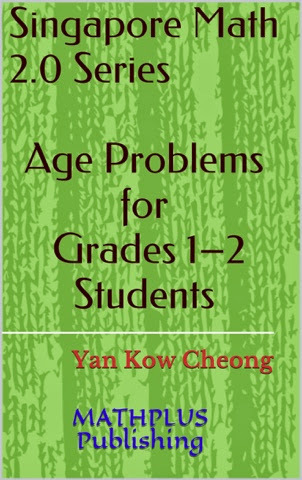 Last week, I released two Singapore math books on iTunes; again, students, teachers, and parents in Singapore are unable to purchase them, because the titles are not available in the Singapore store. They need to have a US account to buy them. A few local math educators are willing to review the books to better assess their suitability to audiences that might benefit from these problem-solving books, but they gave up when they couldn't do so from their tablets, which is, by default, connected to the Singapore store. It's already a pain to update apps like Kindle (which isn't available in the local store) much less purchase or review e-books that can only be downloaded with a U.S. account. It's an irony that our own local math students and teachers can't purchase Singapore math e-books, when others outside the country can freely and conveniently do so. The last thing we want is another ban that forbids us to assess mathematical knowhow, which has zero correlation with politics, democracy, or terrorism. 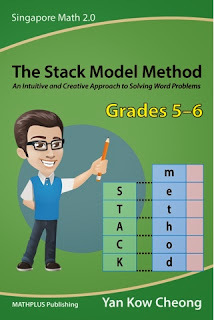 However, all isn't lost for those who still wish to access their free or paid Singapore math e-books online. They could download or buy them from Google play, if they are available there. At a time when the days of printed boring math books are numbered, and more students and teachers are switching to smartphones and tablets as a new platform for learning and teaching, restricting them to buying or downloading math e-books online is simply a dozen steps backwards to encouraging local writers—often stifled by politically correct local publishers and faux math editors—in reaching out to a wider local readership and global audience. Math and math education must be free and be freely available, not to be dictated by some folks with a profit agenda. © Yan Kow Cheong, January 20, 2015.